Book Review: The first crime fiction reviewed on The Readers Express truly represents a well woven crime saga. 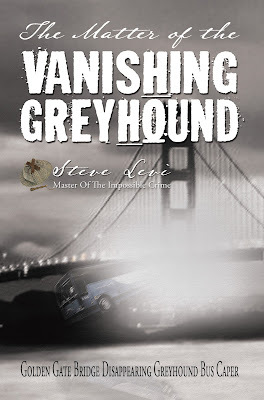 The author creates an impressive quest in the mind of the reader to unravel the shocking mystery behind the vanishing act of a Greyhound bus- part of a 10 million dollar heist. The plot is deep and inciting which is vital for a good crime thriller. The protagonist although is strongly characterized but quite stereotypical which could have been more shady and interesting. The climax is a head spinner with unpredictable revelations and explanations by the investigating Captain. Truly the author has mastered the art of creating an impossible crime story! Will he survive this wrong turn of business and political conspiracies behind the heist? The crime saga is now available on The Readers Express reviewed books column. Simply just a click away!